Large U-shaped opening provides easy access to contents. 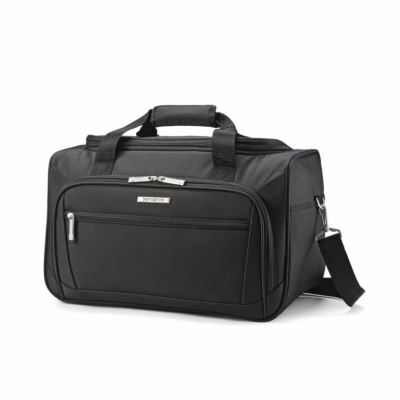 Top carry-handle and removable shoulder strap provide comfort in transport. Exterior pockets provide easy access to last minute items. SmartSleeve™ slides over Upright case handles for easy mobility. Dimensions (L x W x H): 11.42" x 18.11" x 10.04"